Anambra state governor, Willie Obiano, was today conferred the title of Ebubedike Aguleri by the traditional ruler of Aguleri, Igwe Christopher Idigo. The title was conferred on him during the 118th Ovala festival of Igwe Idigo which held at Amaigwe Square, Aguleri. 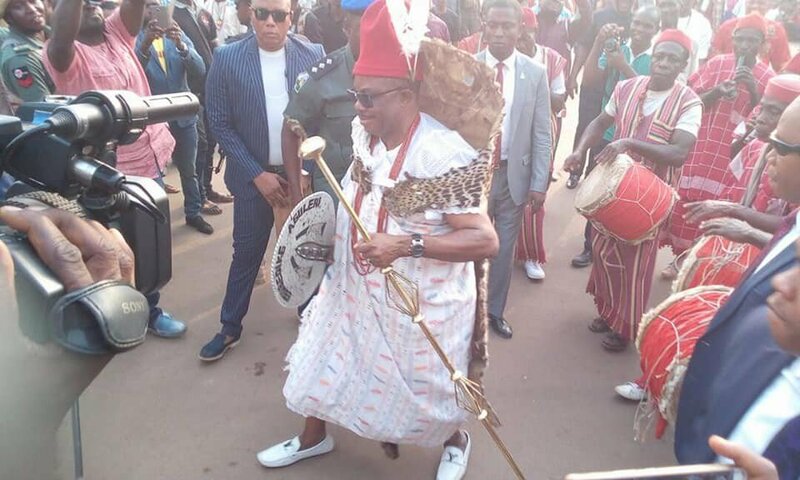 According to the monarch, the title is in recognition of the governor's outstanding performance in the governance of the state and his exploits that has brought honour to Aguleri Kingdom. The governor was given a leopard skin attire to dance with as part of the conferment ceremony.